Love this super cute photo from the ROBERTO CAVALLI Junior Spring Summer 2017 look book featuring this Baby Boys Lion Jacket and Baby Girls White Silk Dress. This adorable ROBERTO CAVALLI Baby Boys Lion Jacket features the signature Roberto Cavalli dramatic lion print. Inspired by the adult collection, this adorable blazer is a the perfect choice a special occasion. 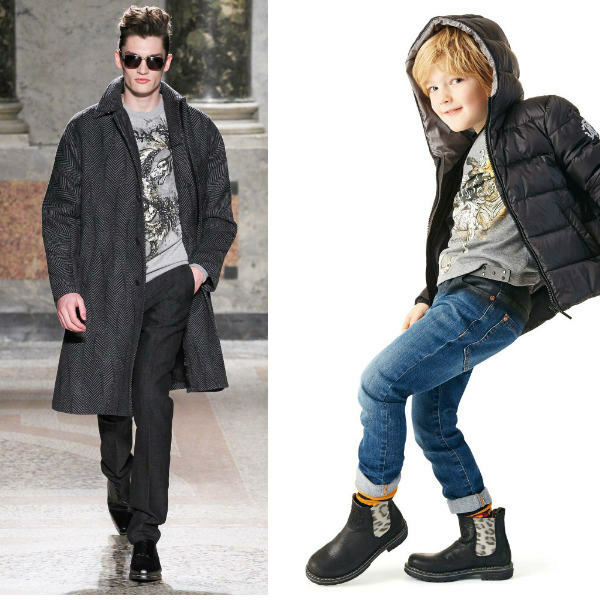 Looks great wit a ROBERTO CAVALLI Baby Boys Ivory Logo Shirt and Baby Boys Blue Denim Jeans. 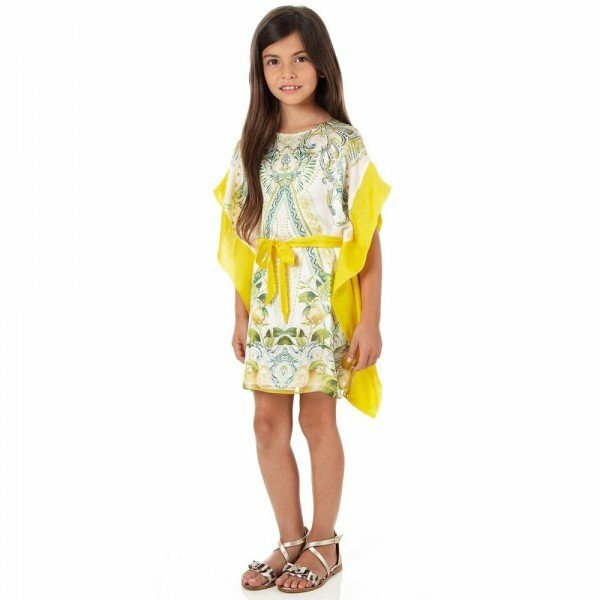 For baby girls, I love this ROBERTO CAVALLI Luxury White Silk Dress featuring a gorgeous and colorful, floral patterned, designed with a fitted bodice and gathered, flared skirt with a ruffle detail. Both baby outfits come in larger sizes for older brothers and sisters.